Bihar Society is an organization which aims at updating the story of Bihar to the rest of world. It is a story which is still evolving and waiting to unfold and be told. 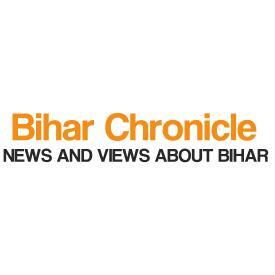 We aim at being a very significant force in the intellectual, cultural and economic renaissance of Bihar. We have been working with the goal of promoting Bihar’s interests globally. 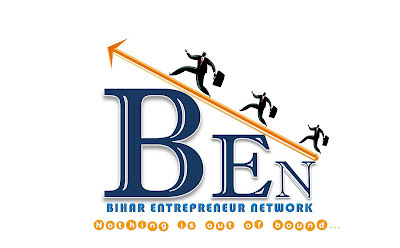 To promote entrepreneurship in Bihar, and to represent the aspirations and needs of entrepreneurs and investors, Bihar Society with the help of a group of successful Entrepreneurs, Corporate Executives, and Senior Professionals with stakes in Bihar has founded The Bihar Entrepreneurs Network (BEN). We are going to launch our inaugural annual event "BEN Conference" in the historical city of Bodh Gaya, Bihar India, which will be the largest professional and networking conference for entrepreneurs in Bihar. 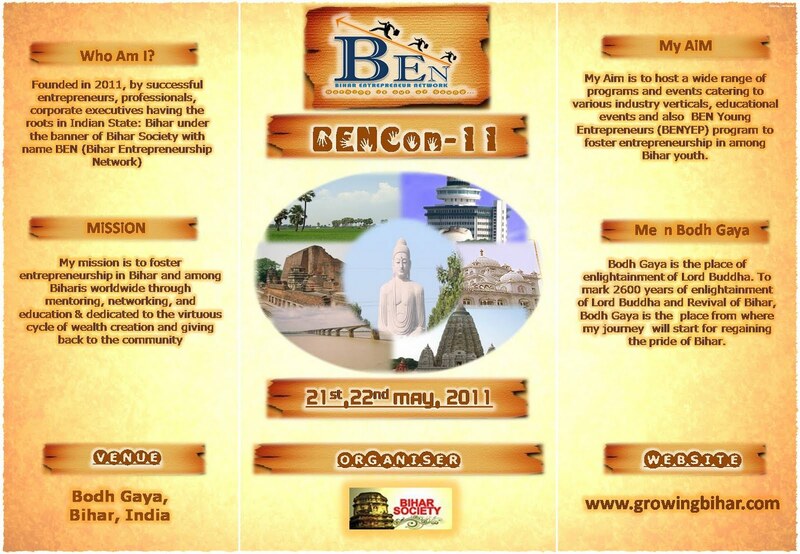 To mark 2600 years of enlightenment of Lord Buddha and revival of Bihar, we are organising this event on 21st May 21. We invite your presence and participation to the inaugural conference of Bihar Entrepreneur Network (BEN) being held on May 21, 2011 & May 22, 2011 at Hotel Royal Residency, Bodh Gaya. Bihar Society has been working with the sole motto of promoting Bihar in all fields. 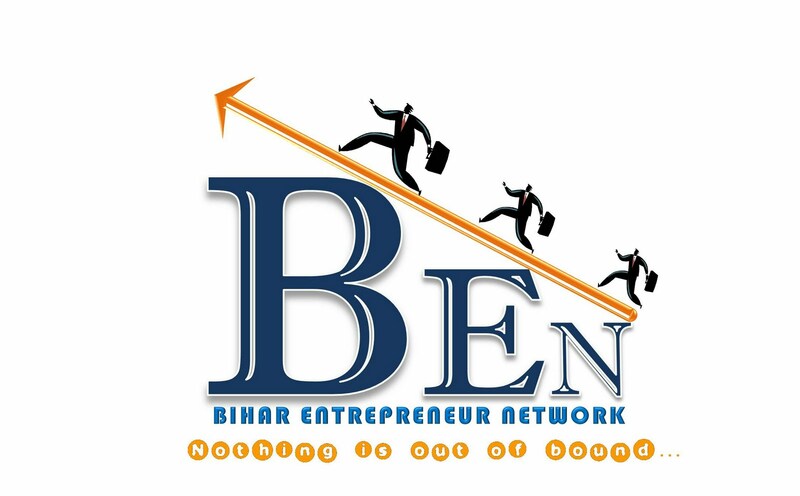 To promote entrepreneurship in Bihar, and to represent the aspirations and needs of entrepreneurs and investors, Bihar Society with the help of a group of successful Bihari Entrepreneurs , Corporate Executives, and Senior Professionals with roots in the Indian State of Bihar has successfully founded The Bihar Entrepreneurs Network (BEN). Bihar Society is going to launch its inaugural annual event "BEN Conference" in the historical city of Bodh Gaya, Bihar India, which will be the largest professional and networking conference for entrepreneurs in Bihar. To mark 2600 years of enlightenment of Lord Buddha and revival of Bihar, we are organising this event on 21st and 22nd of May, 2011. Bihar has decided to set up a task force for conservation of the endangered Gangetic river dolphins, an official said Thursday. Bihar has also pipped UP and the rest of India on the asset declaration front. Interestingly, apart from most other developmental parameters, Bihar has also pipped UP and the rest of India on the asset declaration front. Transparency International (TI) has hailed Bihar government for ensuring time-bound service to citizens. No wonder, then, that though he is the only winner in the individual achievement category this year, Pratyaya is quick to say, “It (the award) is a recognition for the work that is happening in Bihar today, and it will send a positive message to many people, especially to those investors who are interested but are still not too sure about the state....” He adds: “It is about the 500 employees of the Bihar Pul Raj Nirman Nigam (BRPNN) coming together and working to make it a success, cutting across caste lines.” Read more here..
Union Human Resource Development Minister Kapil Sibal on Tuesday praised Bihar Chief Minister Nitish Kumar for the progress the state had made in recent years. Bihar Deputy Chief Minister Sushil Kumar Modi has said he will discuss with Jharkhand Chief Minister Arjun Munda the issue of coal mining along with setting up of thermal power units in both the states. Modi said he would approach Munda to ensure that mining in coal blocks of Urma Pahadi Tola and Maurya, jointly alloted to Bihar State Mineral Development Corporation (BSMDC) and Jharkhand State Electricity Board (JSEB), are carried out speedily. Read more.. The Lion's Club organized a car rally in Patna on Sunday to showcase the development taking place in the region, and to generate funds for improving the lot of the underprivileged people. 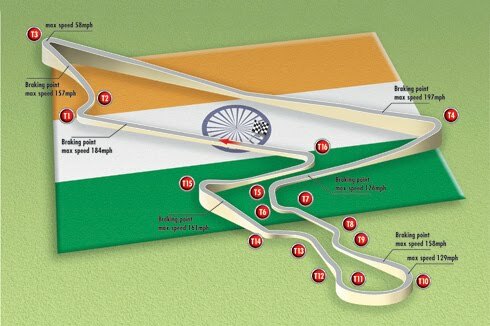 Read more..
India's first F1 track has been officially named ‘Buddh International Circuit’. The new F1 track is located about 40 kilometres from the Nation Capital. The huge track can easily accommodate 125,000 spectators, as well as 25,000 fans at the chief grandstand. Sameer Gaur, Managing Director and Chief Executive of Jaypee Sports International supported the naming of the track as Buddha is a synonym for calmness The Buddh International Circuit is designed by the world-renowned F1 circuit designer Hermann Tilke, at a cost of around 400 million dollars. The length of the track is 5.14 kilometre and should be completed by August 30. In order for the race to take place on October 30, the track will be subjected to “homologation” – the inspection and approval from the Federation Internationale d’Automobile (FIA) that the track meets all predetermined requirements. The whole new idea of the F1 taking place here in India is more than exciting. After the ICC Cricket World Cup which India co-hosted, the F1 GP will be the next best thing to look out for. Why is it that no one goes to jail in our country despite indulging in corruption? This is because we have completely rotten anti-corruption laws and anti-corruption agencies that it is almost impossible for the corrupt to be penalized. Justice Santosh Hegde (former Supreme Court Judge and present Lokayukta of Karnataka), Prashant Bhushan (Supreme Court Lawyer) and Arvind Kejriwal (activist) have together drafted a strong anti-corruption law called Jan Lokpal Bill which requires that investigations into any case should be completed within a year and the trial should get over in the next one year so that a corrupt person goes to jail within two years of complaint and his ill gotten wealth is confiscated. We have suffered enough due to corruption. We are deeply hurt and disappointed with any lack of a real and meaningful solution from you and your government. We want change, and we want accountability and we cannot wait any longer to have this! We will not vote for you if an effective anti-corruption bill is not enacted. Not the farce Lokpal Bill proposed by your government, but the peoples “Jan Lokpal Bill”. We want strict and effective punishment for the corrupt. They MUST go to jail! Or you Mr. PM, along with your party, will fall from the people’s grace. We assure you, stand by us, and we will stand by you. The opposite will also hold true. Sharad Pawar,Veerapa Moily and Kapil Sibal. Mr. Pawar and Mr. Moily have a past of corruption and mis-deeds that the entire country if aware of. Mr. Sibal does not feel there was corruption in the 2G scam. Having these people draft the anti-corruption law – is it not an insult to the people of India? How can the corrupt be asked to draft an anti-corruption bill? We urge you to consider the choice put forth by the people – credible names such as Justice Santosh Hegde, Prashant Bhushan, Shanti Bushan and others, to be part of the committee to draft the Lokpal Bill. Shri Anna Hazare, one of the Greatest Social Reformers India has ever seen has announced a Fast Unto Death beginning April 5th. His demands are extremely beneficial for the future of India. We urge you to immediately accept the demands of the people of India represented by the demands of Shri Anna Hazare lest the discontent among the people grows out of control. The sentiments against rampant corruption in this country are quickly becoming as strong as those that led to the uprising in Tahrir Square. The honest and hardworking people of this country refuse to be innocent bystanders in the wholesale public looting that is taking place as you read this letter. We request your immediate and strong response to this concern of the people as corruption should be the top priority of your government. If the challenge is not met effectively and promptly, it has the potential of undermining every valuable effort made by upright citizens of this country over the last century - including you. It also has the potential of leaving your government with a legacy of shame. Tahrir square can yet be a reality in India. We trust you will take immediate steps to give us our solution, and not force us to take the above steps! The basic idea of the Lok Pal is borrowed from the office of ombudsman (Sweden), which has played an effective role in checking corruption and wrong-doing in Scandinavian and other nations. In early 1960s, mounting corruption in public administration set the winds blowing in favour of an Ombudsman in India too. The Administrative Reforms Commission (ARC) set up in 1966 recommended the constitution of a two-tier machinery - of a Lokpal at the Centre, and Lokayukt(a)s in the states. The first Lokpal Bill was passed in the 4th Lok Sabha in 1969 but could not get through in Rajya Sabha. However, while it was pending in the Rajya Sabha, the Lok Sabha was dissolved, resulting the first death of the bill. Subsequently, Lokpal bills were introduced in 1971, 1977, 1985, 1989, 1996, 1998, 2001, 2005 and in 2008, yet they were never passed and it’s pending. Each time, after the bill was introduced to the house, it was referred to some committee for improvements - a joint committee of parliament, or a departmental standing committee of the Home Ministry - and before the government could take a final stand on the issue the house was dissolved. The Jan Lokpal Bill instead of government has been drafted by Shanti Bhushan (Supreme Court Lawyer), former IPS Kiran Bedi, Justice N. Santosh Hegde (former Supreme Court Judge and present Lokayukta of Karnataka), renowned advocate Prashant Bhushan, former chief election commissioner J. M. Lyngdoh in consultation with the leaders of the India Against Corruption movement and the civil society. This bill is much more independent and powerful as compared to the one proposed by Government committees. The Chairman of the Lokpal shall be from among past or present chief justices of Supreme Court. But the other two members of the Lokpal may also be from those qualified to be judges of the Supreme Court. The loose end left here makes countless many from India’s entire judiciary eligible for the post including those who are also senior party politicians with legal background. The Chairperson and members of Lokpal shall be appointed on the recommendations of a committee consisting of the Vice President as its Chairman, Prime Minister, Lok Sabha Speaker, Home and Law Ministers and Leaders of Opposition in both Houses of Parliament. The Leader of the House, other than the House in which the Prime Minister is a Member of Parliament, will also be a member. No sitting judge of the Supreme Court or Chief Justice of a High Court shall be appointed without consultation with the Chief Justice of India. The Chairperson and members will ineligible to hold other offices like an MP or MLA, office of trust or profit. They shall also severe their connection with any political party or conduct and management of business. They should also cease to practice any profession. The Chairman and members will office for a period of three years or till they attain the age of 70 and shall be appointed by the President of India. They can be removed by the President on the grounds of misbehavior or incapacity proved by an inquiry made by a committee consisting of the Chief Justice of India and two other judges of the apex court next to the CJI in seniority.The Chairman or the members have to be informed of the charges against him and given a reasonable opportunity of being heard in respect of those charges. The Lokpal to be instituted as a ten member body along with its officers and the employees. The bill provides for appointment of the Chairperson and members of the Lokpal within six months of enacting the bill. Predictable vacancies in Lokpal are to be filled in advance at least before three months of such vacancy. Unpredictable vacancies are to be filled within one month of such vacancy. The draft bill provides that at least four members of the Lokpal must have legal background. 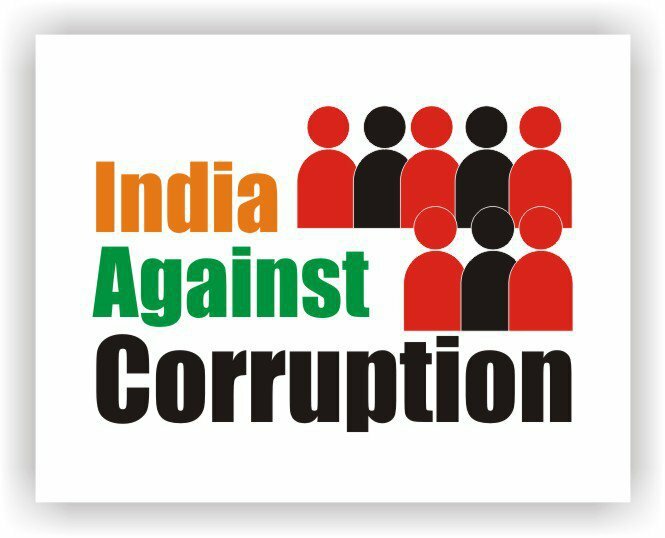 In order to assure people of integrity are appointed as members of the Lokpal, the bill bars appointment of any person who has been charge-sheeted under Prevention of Corruption Act or under Indian Penal Code. 3) Two senior most Chief Justices of High Courts. After the first set of selection process, the outgoing members and Chairperson of Lokpal. The senior most Justice of Supreme Court shall act as chairperson of the selection committee. Recommendations shall be invited through open advertisements in prescribed format. Each person recommending shall be expected to justify the selection of his candidate giving examples from the past achievements of the candidate. The list of candidates along with their recommendations received in the format mentioned above shall be displayed on a website.Each member of the selection committee, on the basis of the above material, shall recommend such number of names as there are vacancies. A priority list shall be prepared with the candidate receiving recommendations from maximum number of members of selection committee at the top. The candidates recommended by same number of members shall be treated at par. This priority list shall be displayed on the website.Around three times the names as there are vacancies shall be shortlisted from the top.Public feedback shall be invited on the shortlisted names by putting these names on the website. The selection committee may decide to use any means to collect more information about the background and past achievements of the shortlisted candidates. Selection committee shall invite shortlisted candidates for discussions, video recordings of which shall be made public. All the material obtained so far about the candidates shall be made available to each member of the selection committee in advance. The members shall make their own assessment of each candidate. The selection committee shall meet and discuss the material so received about each candidate. The final selections for the Chairperson and members shall be made preferably through consensus. Provided that if three or more members, for reasons to be recorded in writing, object to the selection of any member, he shall not be selected. The Prime Minister shall recommend the names finalized by the selection committee to the President immediately, who shall order such appointments within a month of receipt of the same. Prime Minister or a House of Parliament — to whom a Lokpal sends its report holds that the allegations of corruption made in a complaint against the Prime Minister, or a Minister or MP (present or past) have not been proved, "notwithstanding anything contained in any other law", "no prosecution shall lie on any complaint, report, information or otherwise and no court shall take consciousness of any offence on the basis of the same or substantially the same allegations. Further it says that once a complaint is made to the Lokpal nobody can take up the same complaint or any thing close to it in any court of law through a PIL or otherwise. In such a case there is also a ban on referring it for inquiry under the Commissions of Inquiry Act 1952. Imagine a situation once the Bill comes into effect, someone (who is paid by the accused) approaches the Lokpal with a case, and then this could bring to a halt all pending investigations against the accused. It could well be the case that the charge of a crime might absolve the criminal of all investigations into his crimes! The Lokpal is empowered to give directions for deferring or suspending any ongoing police investigations in matters covered by the complaints made to it. Every complainant has to pay a fees and take full responsibility for leveling charges and in case the complaint is found to be baseless serious action extending to two years in jail and Rs.50,000 in fine will be imposed on the complainant. Charges of corruption in the Indian legal system are not necessarily covered only under the Prevention of Corruption Act, 1988 but also under many other Acts, but the Lokpal restricts its ambit to the cases under this Act. Another notable point is that the Lokpal has no powers to punish the ‘guilty’. After finding someone guilty Lokpal can only report its findings to the Prime Minister or a House of Parliament. The current bill provides for inquiry against Prime Minister but it has to be routed through the Speaker of the Lok Sabha and the Lokpal can hear it only if it is cleared by the Speaker. You can approach Lokpal if your ration card or passport or voter card is not being made or if police is not registering your case or any other work is not being done in prescribed time. Lokpal will have to get it done in a month’s time. You could also report any case of corruption to Lokpal like ration being siphoned off, poor quality roads been constructed or panchayat funds being siphoned off. Lokpal will have to complete its investigations in a year, trial will be over in next one year and the guilty will go to jail within two years. 1. Govt. proposal: Lokpal will not have any power to either initiate action suo motu in any case or even receive complaints of corruption from general public. The general public will make complaints to the speaker of Lok Sabha or chairperson of Rajya Sabha. Only those complaints forwarded by Speaker of Lok Sabha/ Chairperson of Rajya Sabha to Lokpal would be investigated by Lokpal. This not only severely restricts the functioning of Lokpal; it also provides a tool in the hands of the ruling party to have only those cases referred to Lokpal which pertain to political opponents (since speaker is always from the ruling party). It will also provide a tool in the hands of the ruling party to protect its own politicians. Civil Society’s proposal: Lokpal will have powers to initiate investigations suo moto in any case and also to directly entertain complaints from the public. It will not need reference or permission from anyone to initiate investigation into any case. 2. Govt. proposal: Lokpal has been proposed to be an advisory body. Lokpal, after enquiry in any case, will forward its report to the competent authority. The competent authority will have final powers to decide whether to take action on Lokpal’s report or not. In the case of cabinet ministers, the competent authority is Prime Minister. In the case of PM and MPs the competent authority is Lok Sabha or Rajya Sabha, as the case may be. In the coalition era when the government of the day depends upon the support of its political partners, it will be impossible for the PM to act against any of his cabinet ministers on the basis of Lokpal’s report. For instance, if there were such a Lokpal today and if Lokpal made a recommendation to the PM to prosecute A. Raja, obviously the PM will not have the political courage to initiate prosecution against A. Raja. Likewise, if Lokpal made a report against the PM or any MP of the ruling party, will the house ever pass a resolution to prosecute the PM or the ruling party MP? Obviously, they will never do that. Civil Society’s proposal: Lokpal is not an advisory body. It will have the powers to initiate prosecution against any one after completion of investigations in any case. It will also have powers to order disciplinary proceedings against any government servant. 3. Govt. proposal: The bill is legally unsound. Lokpal has not been given police powers. Therefore Lokpal cannot register an FIR. Therefore all the enquiries conducted by Lokpal will tantamount to “preliminary enquiries”. Even if the report of Lokpal is accepted, who will file the charge sheet in the court? Who will initiate prosecution? Who will appoint the prosecution lawyer? The entire bill is silent on that. Civil Society’s proposal: Lokpal would have police powers. It will be able to register FIR, proceed with criminal investigations and launch prosecution. 4. Govt. proposal: The bill does not say what will be the role of CBI after this bill. Can CBI and Lokpal investigate the same case or CBI will lose its powers to investigate politicians? If the latter is true, then this bill is meant to completely insulate politicians from any investigations whatsoever which are possible today through CBI. Civil Society’s proposal: That part of CBI, which deals with cases of corruption, will be merged into Lokpal so that there is just one effective and independent body to take action against corruption. 5. Govt. proposal: There is a strong punishment for “frivolous” complaints. If any complaint is found to be false and frivolous, Lokpal will have the power to send the complainant to jail through summary trial but if the complaint were found to be true, the Lokpal will not have the power to send the corrupt politicians to jail! So the bill appears to be meant to browbeat, threaten and discourage those fighting against corruption. Civil Society’s proposal: Deterrence has been provided against frivolous complaints in the form of financial penalties against the complainant, however, Lokayukta is empowered to prosecute the corrupt and take disciplinary action against them. 6. Govt. proposal: Lokpal will have jurisdiction only on MPs, ministers and PM. It will not have jurisdiction over officers. The officers and politicians do not indulge in corruption separately. In any case of corruption, there is always an involvement of both of them. So according to government’s proposal, every case would need to be investigated by both CVC and Lokpal. So now, in each case, CVC will look into the role of bureaucrats while Lokpal will look into the role of politicians. Obviously the case records will be with one agency and the way government functions it will not share its records with the other agency. It is also possible that in the same case the two agencies arrive at completely opposite conclusions. Therefore it appears to be a sure way of killing any case. Civil Society’s proposal: Lokpal will have jurisdiction over politicians, officials and judges. CVC and the entire vigilance machinery of government will be merged into Lokpal. 7. Govt. proposal: Lokpal will consist of three members, all of them being retired judges. There is no reason why the choice should be restricted to judiciary. By creating so many post retirement posts for judges, the government will make the retiring judges vulnerable to government influences just before retirement as is already happening in the case of retiring bureaucrats. The retiring judges, in the hope of getting post retirement employment would do the bidding of the government in their last few years. Civil Society’s proposal: Lokpal would have ten members and one Chairperson. Out of them four need to have legal background (they need not be judges). Others could be from any background. 8. Govt. proposal: The selection committee consists of Vice President, PM, Leaders of both houses, Leaders of opposition in houses, Law Minister and Home minister. Barring Vice President, all of them are politicians whose corruption Lokpal is supposed to investigate. So there is a direct conflict of interest. Also selection committee is heavily loaded in favor of the ruling party. Effectively ruling party will make the final selections. And obviously ruling party will never appoint strong and effective Lokpal. Civil Society’s proposal: Selection committee consists of members from judicial background, Chief Election Commissioner, Comptroller and Auditor General of India and international awardees (like Nobel prize winners and Magsaysay awardees of Indian origin). A detailed transparent and participatory selection process has been prescribed. 9. Govt. proposal: Lokpal will not have powers to investigate any case against PM, which deals with foreign affairs, security and defense. This means that corruption in defense deals will be out of any scrutiny whatsoever. It will become impossible to investigate into any Bofors in future. Civil Society’s proposal: There is no such bar on Lokpal’s powers. 10. Govt. proposal: Whereas a time limit of six months to one year has been prescribed for Lokpal to enquire, however, subsequently, there is no time limit prescribed for completion of trial. Civil Society’s proposal: Investigations should be completed within one year. Trial should get over within the next one year. 11. Govt. proposal: It does not deal with corruption of Bureaucrats. Corrupt bureaucrats continue in their job without any actions against them. Civil Society’s proposal: Lokpal will have power to direct disciplinary action, including dismissal of a corrupt officer from job. Civil Society’s proposal: Lokpal will have powers to initiate investigations on complaints of corruption against judges. 13. Govt. proposal: Speaker would decide which complaints shall be enquired into by Lokpal. Civil Society’s proposal: Speaker would decide which complaints shall be enquired into by Lokpal. 14. Govt. proposal: Our entire governance system suffers from inadequate public grievance redressal systems, which force people to pay bribes. Lokpal bill does not address this issue. Civil Society’s proposal: Lokpal will have the powers to orders redressal in a time bound manner. It will have powers to impose financial penalties on guilty officers, which would be paid to complainant as compensation. 15. Govt. proposal: large numbers of people raising their voice against political corruption are being murdered. Lokpal does not have any powers to provide protection to them. Civil Society’s proposal: Lokpal will have powers to provide protection against physical and professional victimization of whistleblowers. 16. Govt. proposal: Nothing has been provided in law to recover ill gotten wealth. A corrupt person can come out of jail and enjoy that money. Civil Society’s proposal: Loss caused to the government due to corruption will be recovered from all accused. 17. Govt. proposal: Under the present law, there is Small punishment for corruption- Punishment for corruption is minimum 6 months and maximum 7 years. 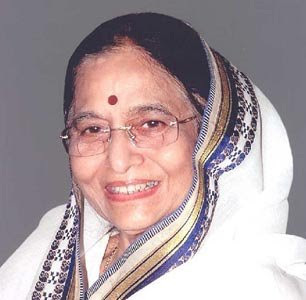 Bihar Chief Minister Nitish Kumar has got another feather in his cap from none other than President Pratibha Patil, the latter obviously impressed by the efforts towards empowering women and the overall development of the state under the stewardship of Nitish Kumar. Ever since coming to power (he has been re-elected for a second term) by defeating Laloo Prasad Yadav, the quiet and efficient Chief Minister of Bihar has gone about doing his job earning both admiration and respect from even his opposition. Under him Bihar has changed for the better. The image of Bihar as a land of crime, corruption, cattle, backwardness and poverty is now a thing of the past. Today there are visible signs of peace and development. This is indeed refreshing. Today Bihar would undoubtedly be the most improved State in the country. It’s indeed a great leap forward and due credit to the leadership of Nitish Kumar. When people talk about the new Bihar, they usually refer to the transformation—the State was in complete chaos when Nitish Kumar first assumed office in 2005. Bihar was more popular for its rampant kidnapping and killing, the disorder, poverty and caste politics. Things have changed and there is hope and optimism among the people. Not only within but the image of Bihar as perceived by the outsider is positive. This is very important for the future prospect of the State. With order, political stability and strong progressive leadership, investors will have confidence to enter Bihar and this will do a world of good to the local economy. 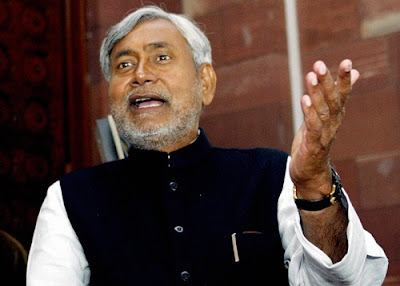 The other aspect about the leadership quality of Nitish Kumar, which merits attention and applause, is the reformist zeal that he has demonstrated during his tenure as Chief Minister. This is rare for a politician because the more power you get to wield, the more entrenched your vested interest becomes. In the case of Nitish, he has challenged the status-quo on many occasions. Take the case of the MLA Local Area Development (MLALAD) Fund, which the Nitish Kumar government has scrapped. In a unique approach, the failed LADF has been replaced by the CM Area Development Programme (CMADP). Under the plan, which will be at the district-level (as against the Assembly segment level), while the minister-in-charge, MLAs and MLCs concerned will only select schemes every year, its implementation will rest with a body of engineers headed by Engineer-in-Chief. Also, while chief/executive engineers will sign cheques, district magistrates can only monitor implementation of schemes so they meet deadlines.